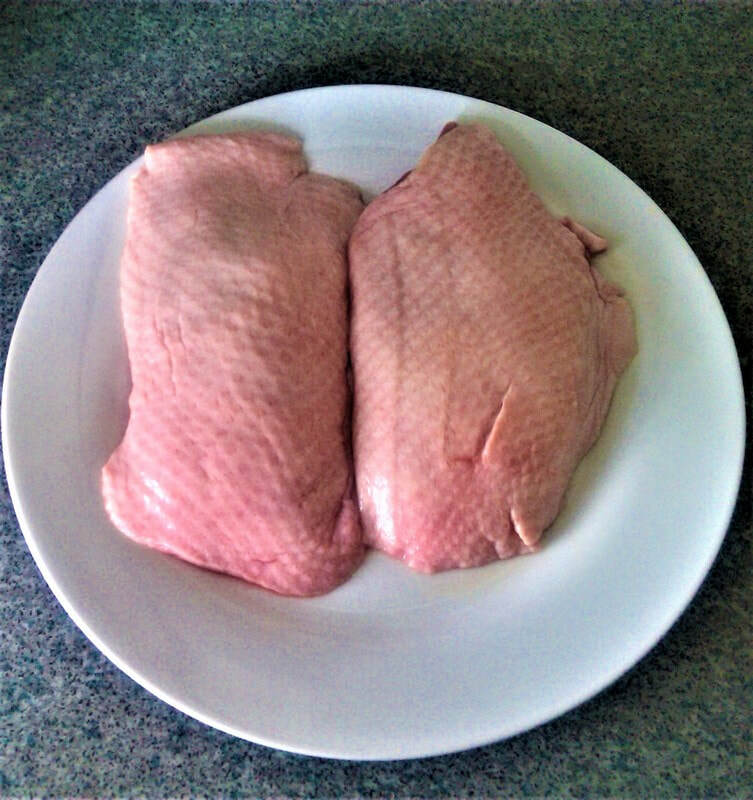 I rarely buy Duck Breasts because they are often too expensive. 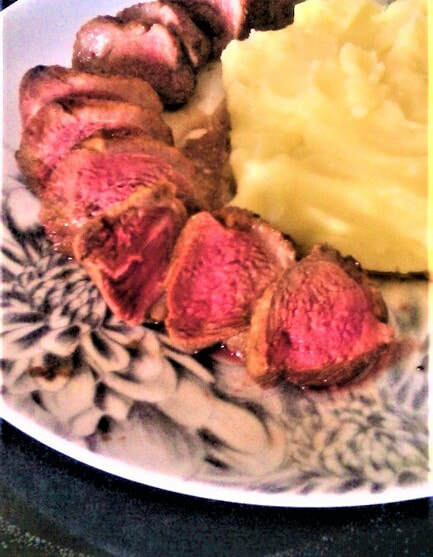 But once in a blue moon I purchase this beautiful meat, and I serve them with a delicious red wine sauce thickened with redcurrant. 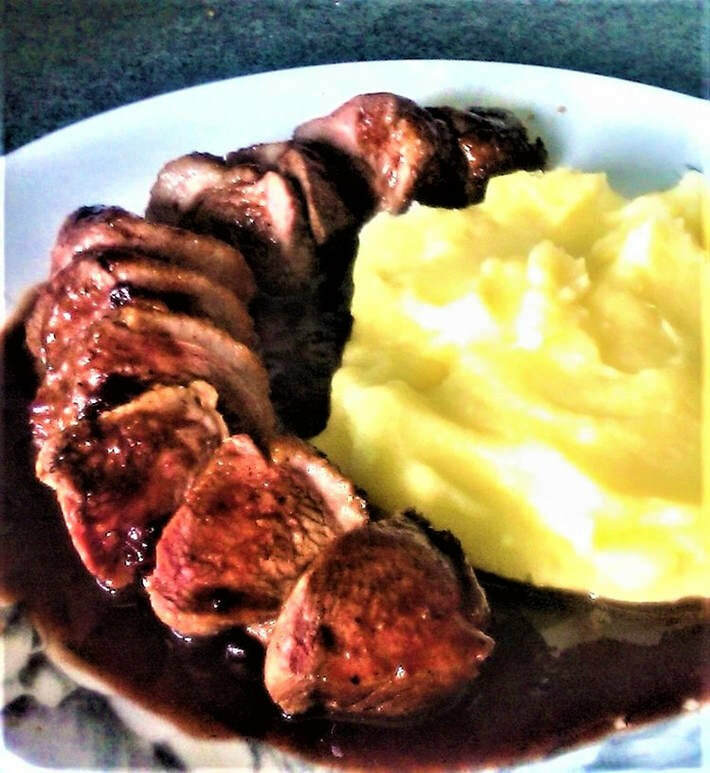 This is my favourite way to serve Duck Breasts. 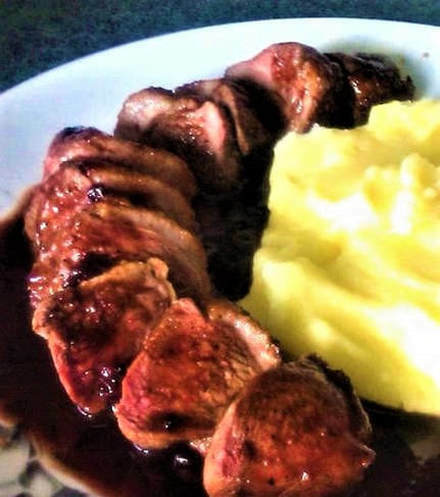 The red wine sauce pairs very well with the rich meat of the Duck. 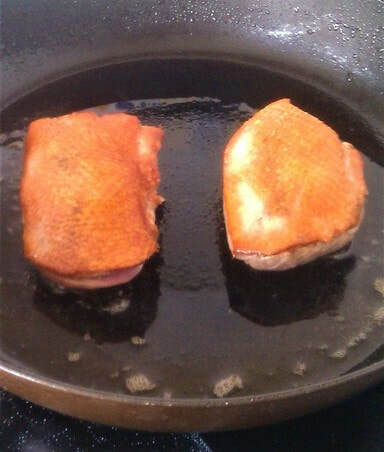 And the great thing about cooking Duck Breasts is that they are quick and easy to cook. 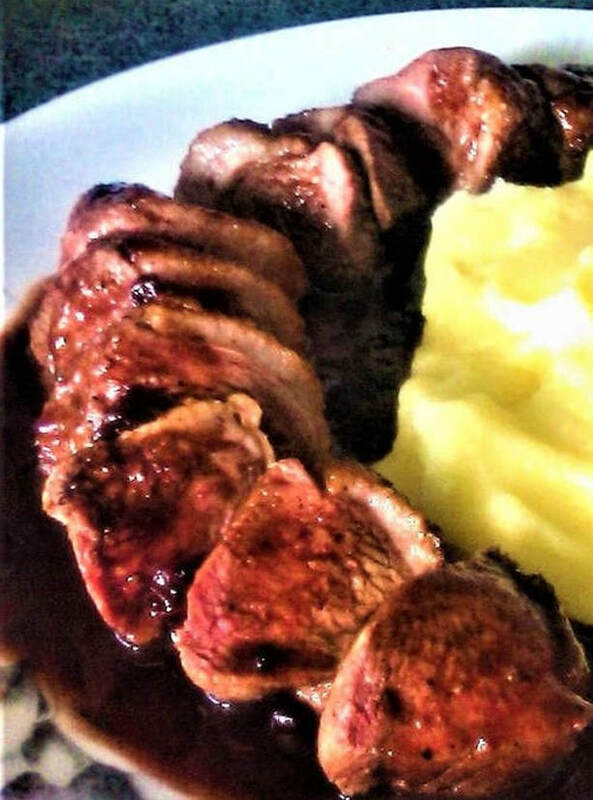 I like my Duck Breasts rare; when I am serving in this style. It is crucial to sear the skin; get it crisp, and then let the Duck rest for at least fifteen minutes after cooking before slicing. Bring the pot to a boil with the stock, jelly, wine and sugar, and then add the drippings from Duck. The isn't a quick sauce. The sauce needs time to develop flavour. Add the onion and the garlic, and let everything boil on high for about 15 minutes. Then turn to a low to medium simmer until thickened and the sauce has texture. Add Salt and Pepper to your taste, only if you think it needs extra seasoning. Remove the Duck from packaging and pat dry. Lightly brush vegetable oil or a mild flavoured cooking oil on the skin. Sprinkle salt on the bottom side of the Duck and Sprinkle salt and a little black pepper on the skin. Heat 2 or 3 tbs of Vegetable oil in a pan or a skillet, let the oil distribute. 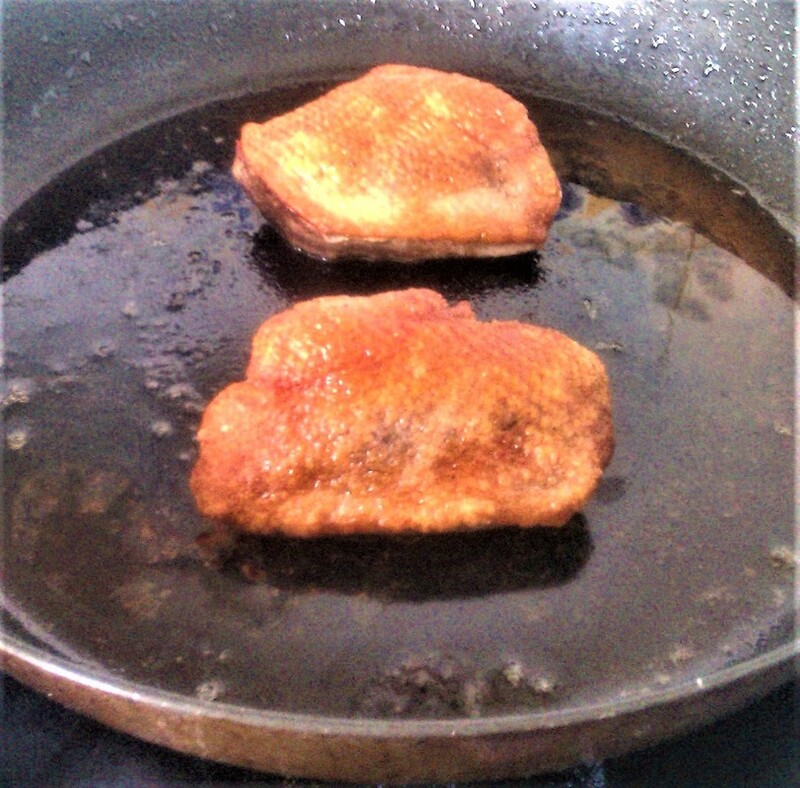 Once the oil is hot turn to medium low and sear the skin side of the Duck Breasts until crisp-about 4 minutes approx. Then roast the Duck for 7-8 minutes for rare, longer if you want it more cooked. Rest for at least 15 minutes, slice and serve with the sauce, and a side dish of your choice. I like mash potatoes.